This song is from the movie of the same name, released in 1952. However, Kaper’s music was originally used two years earlier in an MGM film called A Life of Her Own. 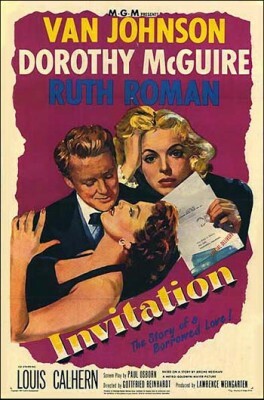 As theme song for Invitation, the song became a jazz standard and has been recorded both as a vocal and as an instrumental. Significant recordings include those by Rosemary Clooney, Freddy Cole, and John Coltrane, in addition to Tony Bennett’s 1971 recording. Somehow it seems we’ve shared our dreams, but where? Where have you been, darling come into my heart. “Invitation” was recorded on September 11, 1972 and released that year on the album The Good Things In Life. It was arranged by Robert Farnon.